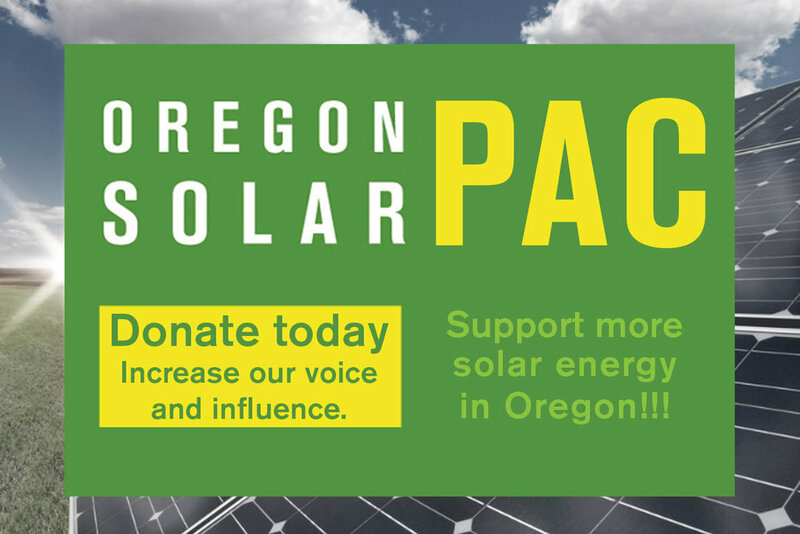 As reported in OSEIA’s November 2015 newsletter, the Oregon Public Utilities Commission (PUC) submitted formal recommendations to the legislature regarding “Attributes for the Design of a Community Solar Program” at the end of October. OSEIA was engaged in the PUC process which led to those recommendations, of which we are generally supportive of the outcome, though with some suggested revisions. Following the issuance of the PUC “attributes,” OSEIA worked closely with Environment Oregon and Northwest SEED in developing several recommended adjustments to those attributes. We in turn educated the legislative champions of this effort: Senator Lee Beyer and Representative Paul Holvey. Ultimately, Sen. Beyer took the lead as sponsor in developing a bill which captured much of the PUC’s identified attributes, in addition to addressing some of our concerns and his interests. Sen. Beyer has introduced this community solar legislation in the upcoming 2016 legislative session. Meanwhile, a parallel version of the community solar legislation was included in a larger (now public) bill package which includes a phase out of coal and increase in the state’s Renewable Portfolio Standard (RPS) requirements. This “Clean Energy and Coal Transition” bill was formed through negotiations between the state’s largest utilities (PGE and Pacific Power) and several advocacy groups, who aimed to seek agreement and avoid a ballot measure initiative with the same intent led by Renew Oregon (also discussed in the OSEIA newsletter). On January 14, Sen. Beyer’s bill was introduced in the State Senate (SB 1572) and the Clean Energy and Coal Transition bill (which includes a different version of community solar) was introduced in the House (HB 4036). We ultimately expect only one of these two bills to pass, and are now working to incorporate the elements of Sen. Beyer’s community solar bill into the Clean Energy and Coal Transition legislation. In many ways both bills reflect the attributes recommended by the PUC, such as the bill credit rate for community solar project subscribers being informed by the “resource value of solar” (still to be determined) and flexible ownership for utility and third-party develops. We support several deviations from the PUC recommendations that have been proposed by Sen. Beyer, including opening up the program to all IOU customers (not just residential and small business) and removing the overall capacity cap of the program. A somewhat more contentious issue has been the incorporation of a 15% low-income carve-out for the program. This element was proposed in the Clean Energy and Coal Transition bill and may end up in the compromise legislation (i.e., the meshing of Sen. Beyer’s bill with the Clean Energy and Coal Transition bill). OSEIA has voiced concerns on the potential challenge and project economic implications of such a carve-out. We’re recommending that if a carve-out must exist as part of the compromise it be at the “program level” rather than “project level”. Initial indications suggest these efforts will be successful, and we are cautiously optimistic that a strong community solar program will result from this process. However, details are not yet finalized and the last test will occur during the actual legislative session, February 1st through the first week of March. For more information on this effort please contact Charlie Coggeshall -charliecoggeshall@easycleanenergy.com.